Excellent service,prompt and well done. Jay says the service is superior!!! Second time I have my car for service, they are very professional and courteous. 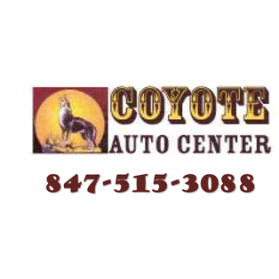 I have brought my car(s) to Coyote for the past eight years and rely on them for all issues regarding maintenance and repair. Service was very friendly. I was able to drop my car off and get a courtesy ride home. Brake job was done same day. All the brake work that was done appeared to be a quality job...maybe a little high on the price.